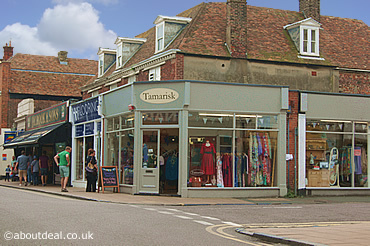 Tamarisk Boutique, 85 High Street, Deal, Kent, CT14 6EH. Full of fabulous clothes & accessories. Top notch brands including White Stuff, Joules, Seasalt, Joe Browns, etc. Constantly changing stock. Look out for the sale rail. This entry was posted on Thursday, July 13th, 2017 at 12:08 pm	and is filed under Businesses, Fashion, Shops. You can leave a response, or trackback from your own site.